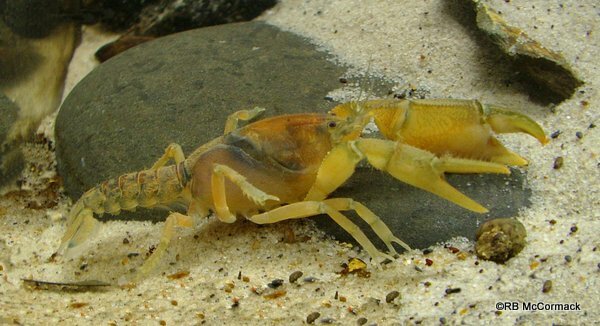 Engaeus sericatus is a small burrowing crayfish from the lowland regions of western and south western Victoria. We found most of our specimens along the edge of the rivers and streams or in small seepages and creeks. As a species it seemed locally abundant at most sites we surveyed, the sites where areas that water seemed permanent and all the burrows had water filled chambers at the bottom. 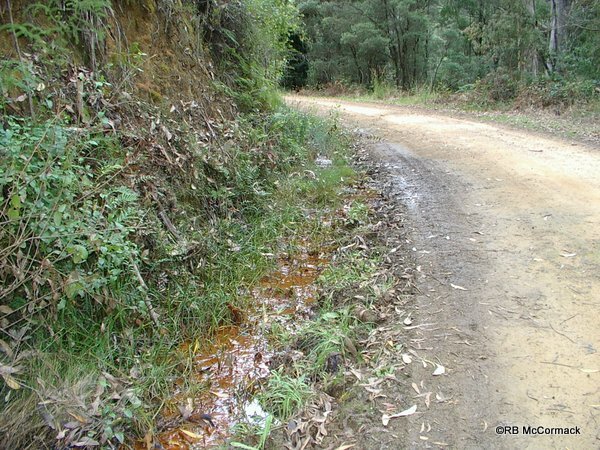 Burrows did not seem to extend far away from the streams into the forest floor and most burrows seemed relatively rudimentary with only 1 or 2 surface entrances down only 500 mm to small water filled chamber. Engaeus sericatus is found in sympatry with a number of different species. We found Geocharax crayfish within 50 mm and Euastacus bispinosus, Euastacus yarraensis, Cherax albidus and Engaeus fultoni all within 1 metre of the species. 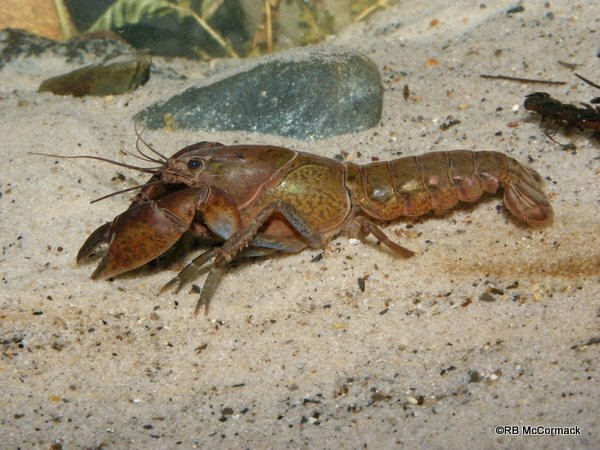 Commonly we found that Geocharax crayfish also seemed to prefer the same habitat and at many sites we found them both together at relatively high densities of 2-3/m2 for each species.